WHY ARE THE CAVITIES PRODUCED? DO YOU KNOW THAT YOU COULD USE NEW PRODUCTS THAT WOULD HELP YOU TO REDUCE THE CARIES? Training is very important for our team. To keep growing and remain one of the best dental clinics in Barcelona, we do not stop receiving education. 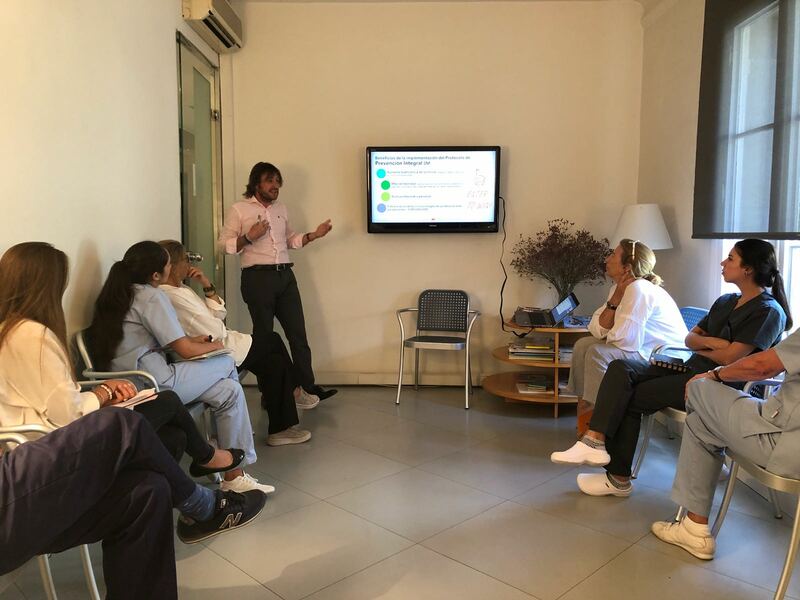 This week the entire Blasi Clínica Dental Barcelona team has received training on new protocols and products to implement the prevention of dental diseases. We have incorporated these protocols into the clinic to offer them to our patients. Find out about treatments such as fluoridation, prophylaxis or fissure sealing in our clinic.